The San Antonio Spurs continue to look impressive as they once again blew out the Utah Jazz 114-83 to take a commanding 2-0 series lead. Tony Parker led the balanced Spurs attack with 18 points, and 9 assists. Rookie Kawhi Leonard added 17 points. 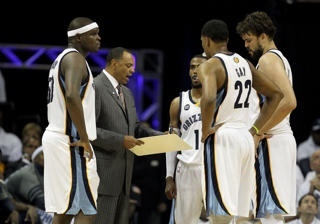 Al Jefferson and Josh Howard led Utah with 10 points a piece. The Series will move to Salt Like City for games 3 and 4. New setting, same result as game 2. The Indiana Pacers ran away from the Orlando Magic 97-74 in game three to take a 2-1 series lead. 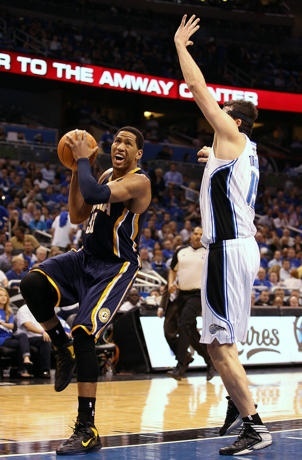 Danny Granger scored a game high 26 points and grabbed 9 rebounds. Glen Davis led Orlando with 22 points. The Magic will look to tie the series is game 4. 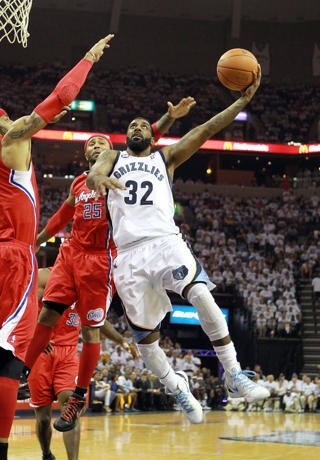 In what is turning out to be the most exciting first round series the Memphis Grizzlies bounced back from their historic game 1 meltdown to defeat the LA Clippers 105-98 in game 2. Rudy Gay was the Grizzlies high scorer with 21 points. O.J. Mayo poured in 20 points off the bench and Mike Conley Jr. produced 19 points. Chris Paul paced the Clippers with 29 points and 6 assists. Blake Griffin played better in game two with 22 points and 9 rebounds. The Staples Center in Los Angeles will play host to games 3 and 4.